All this and it is FREE by simply registering as a preferred customer. Why not register now and receive an immediate 5% discount in addition to all items store wide. It can be used with items already discounted, thus increasing you buying power! What is there to loose – there are no strings attached and it cost nothing. 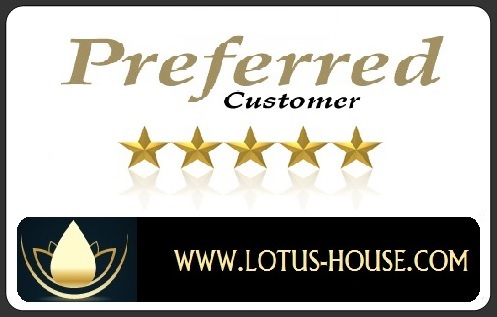 Lotus House welcome you and we are here to serve you.